This old WWII tank training base is located in the desert of Butler Valley about 30 miles northeast of Bouse in western Arizona. The most interesting features that remain of the old camp are the stone markers left by the units that were stationed there during the camp's active period. Other features of the old camp that can be seen today are a very large concrete reservoir, water well placements, several concrete foundations, sidewalks and rock-lined walkways. 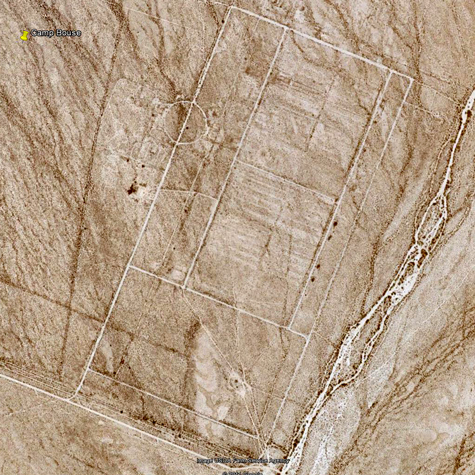 Northwest of the main camp site about a mile away is an interesting grid of old roads. Camp Bouse was a top secret tank training base established in August of 1943 by General George Patton. 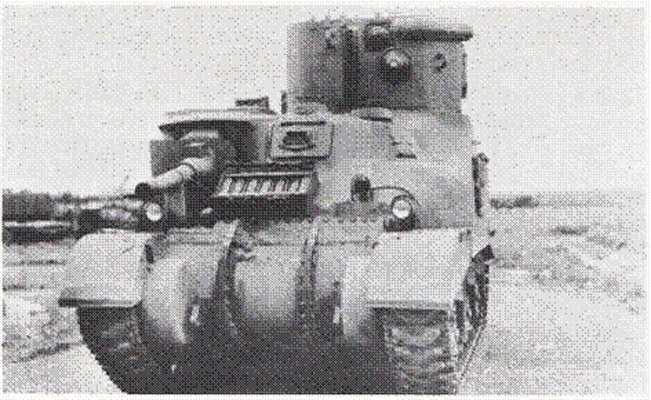 It's purpose was to develop and test modified tanks that carried "Canal Defence Lights". These lights were 13 million candle power arc lamps that were going to be used to light up battlefield action at night. The light from these lamps passed through shutters that opened and closed 6 times per second. This strobing effect was intended to dis-orient enemy fighters. The concept was perfected, but very few, if any, of the modified tanks actually saw any battle. There were 5500 soldiers stationed at the base including six tank battalions, one armored infantry battalion, an ordinance company and a station hospital. The base was abandoned in 1945.